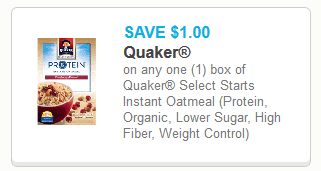 This is a great deal on oatmeal. Print the coupon and grab it while you can. This probably won’t last long.